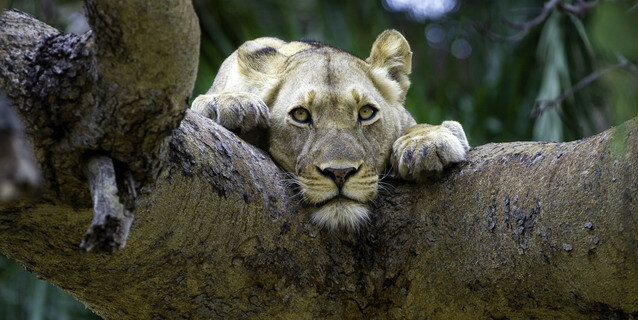 Zambia is one of Africa's most exciting and diverse safari destinations. Small, remote camps offering a range of adventurous and immersive safari activities are prominent features of a Zambian safari. The major National Parks are also markedly different and complementary in terms of landscape, habitat types, and game-viewing highlights. Another major highlight of Zambia is the Victoria Falls, one of the seven natural wonders of the world. 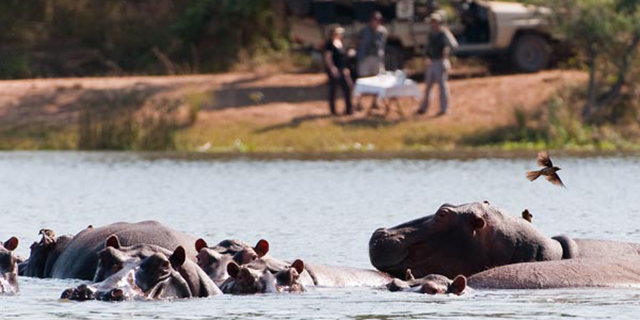 Zambia's safari destinations are anchored around three of the country's major river systems. The Kafue River and its tributaries lie at the heart of the vast Kafue National Park, the Luangwa River is the lifeblood of the South Luangwa National Park, and the mighty Zambezi River is the focal point of the Lower Zambezi National Park (visit our Destination Map for more area specific information, and accommodation options). All three ecosystems are at their most productive from May through November, with wildlife getting more and more concentrated along the rivers as the dry season progresses. Comprising nearly 9,000 square miles of protected wilderness, Kafue is one of Africa's largest National Parks. The Park encompasses a stunning diversity of habitat types, and an equally impressive array of wildlife species. Highlights include the riverine habitat along the Kafue and Lunga Rivers, and the game-rich Busanga Plains (featuring some of the best lion and cheetah viewing in southern Africa). The South Luangwa Park offers Zambia's most concentrated mammalian diversity. The Park's 3,540 square mile area incorporates a significant portion of the tortuous Luangwa River, and is set within the tail end of Africa's Great Rift Valley. The River and its series of fertile "dambos" (floodplains) provide sustenance in an otherwise very dry region, drawing large volumes of wildlife from the surrounding hills. The Lower Zambezi Valley is quite possibly southern Africa's most scenically spectacular big game area. The great Zambezi River, one of the world's most unspoiled major waterways, meanders through the Lower Zambezi National Park, flanked by verdant floodplains and framed by the 3,000 foot Zambezi escarpment that towers on either side. Game-viewing is excellent, and the wide range of exciting safari activities is a major highlight of this Park. 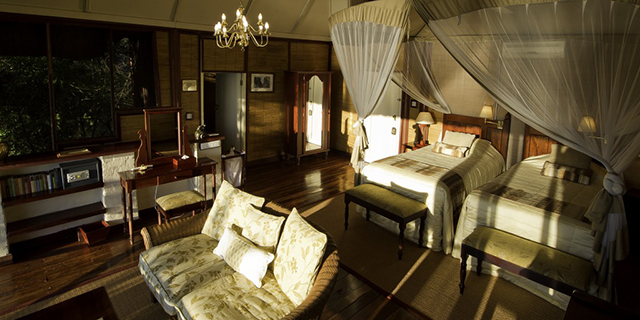 Zambia's best safari camps are small and intimate (ten rooms or less), providing high levels of comfort with a sense of simplicity that matches the remote locations. Non-motorized activities (walking and canoeing in particular) are real strengths of Zambia, placing it near the top of the list for anyone seeking a more adventurous and immersive safari, off the "beaten track". Travelers to Zambia need to be conscious of timing and camp location to make the most of their safari experience, and should plan well in advance (preferably 12 months or more) because of limited availability at the best camps. 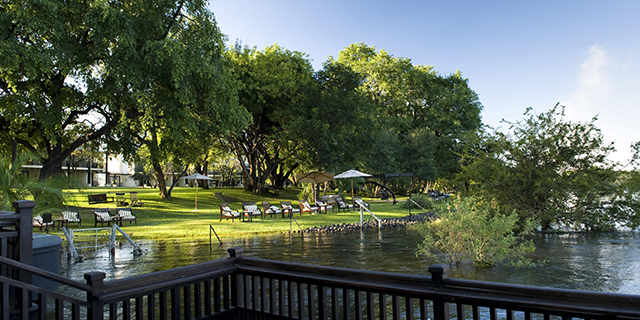 Classic Africa offers both tailor-made and small group safari options to Zambia.